Hotel buffet restaurants have always occupied a special place in foodies’ hearts (and stomachs). 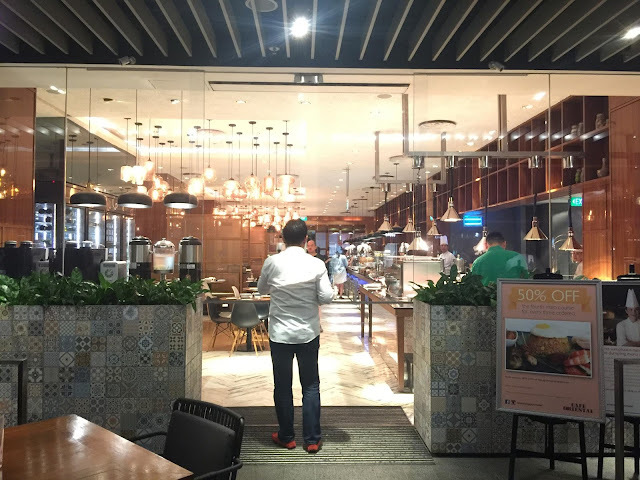 Household names such as Carousel, Straits Kitchen and 10 at Claymore, have long enjoyed rave reviews from food bloggers. 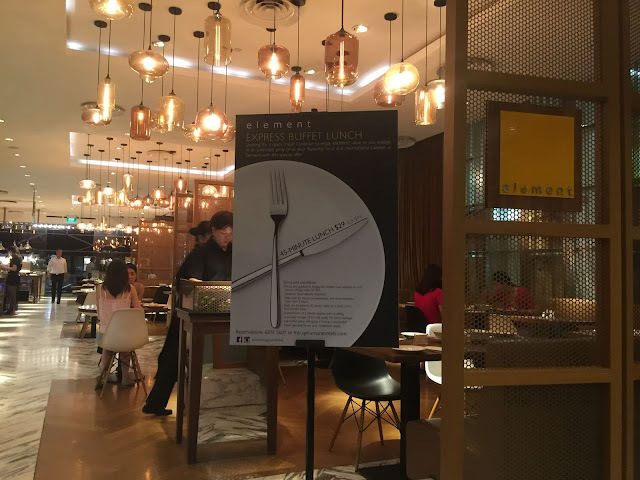 Element at Amara Singapore, while slightly less prominent on the radar of the typical casual diner, offers guests a similarly gratifying experience. With its spread of Japanese, French and Chinese cuisine, it provides a truly memorable experience. These classic gastronomic feasts are also timeless favourites amongst families and groups out to communally savour a wide selection of international cuisines, often in celebration of a special occasion, event or milestone. It is thus no surprise that the hotel buffet enjoys such widespread acclaim and approval as the epitome of ultimate culinary indulgence and celebration. Attended the tasting session with Ivan Teh Running Man and The Arctic Star. The dining area at Element is a pleasure to be in too. With its white ceiling, brightly-lit interior and clean modern lines, the place feels spacious and airy. The wood detailing on the pillars and tables nicely balances out the harshness of the white-based interior, adding a touch of warm vibes. Apart from the buffet line itself, the undisputed centrepiece of the place has got to be the sizable wine chiller placed prominently in the middle of the seating area. 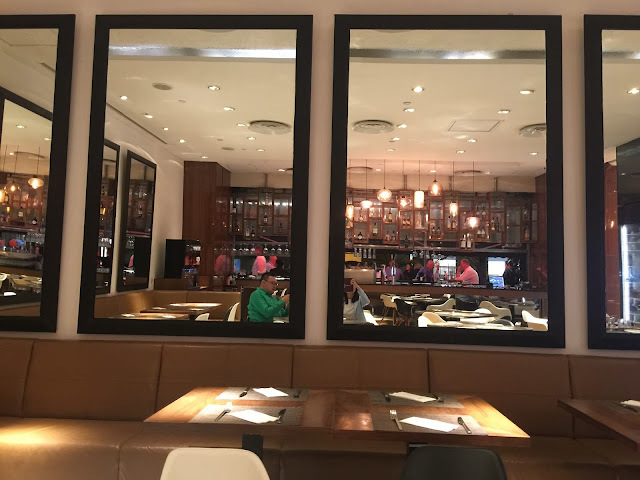 With large mirrors that are as huge as picture windows and lights encased in vases, the decor in Element are polished and vibrant. The wooden cabinets and brown chairs makes diners feel at home. It's easy to have meaningful conversations as the restaurant is quite spacious and comfortable. Any wise diner would not skip this section—if you need a reason to dine at Element, the amount and variety of seafood available there is value for money. Look forward to dulcet and fresh seafood and don't miss the Fresh Moreton Bay Bugs, Fresh Oysters, Alaskan King Crab, White Clams and Cooked Prawns. 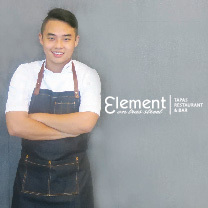 Element Restaurant is helmed by Chef Samuel Quan, the youngest member of the Singapore National Culinary team. If you read the newspapers, you'd recall that they won TWO olympic gold medals in the Culinary Olympics last year at Germany. Chef Quan has clocked hours in various established hotels and celebrity restaurants, including Michelin 2-star Restaurant Aponiente, one of Spain’s best restaurants helmed by Chef Ángel León who was named Spain’s best chef at the Royal Academy of Gastronomy’s awards in 2013, and Les Amis restaurant. I'd wish that there were more local cuisine (e.g. hainanese chicken rice or nasi lemak) as part of the buffet, since the diners would also consist of tourists as well. The lotus root soup is highly recommended— slurp it down before your mains for a toothsome start! Japanese is one of my favourite cuisines and this section definitely didn't disappoint. From ramen to cold tofus and must-have sashimi, Amara Hotel ensures the freshness of their dishes by slicing the sashimi-on-demand. Aside from free-flow coffee and a wide variety of tea selections, diners also get to choose from their house pours. Champagne and white/red wine are available as well. We started with the Prosecco, followed by Cabernet Sauvignon and Chardonnay. Try pairing your seafood with Cabernet Sauvignon or Chardonnay for an ambrosial experience. With the large selection of cakes and desserts available, I'm not joking when I say you can celebrate at least 20 years of birthdays here. Have a slice of their Apple Crumble Cake, Opera Cake or Chocolate Banana Cake. Or, if you aren't a cake person, then the Cheng Teng and Red Bean with coconut milk is a delectable option. My favourite was the Cempedak crème brûlée.